Click here, Press → key to advance. Tilt was originally built as an extension. Lets you see everything in one DOM tree, and allows inspection and on-the-fly editing of DOM elements. 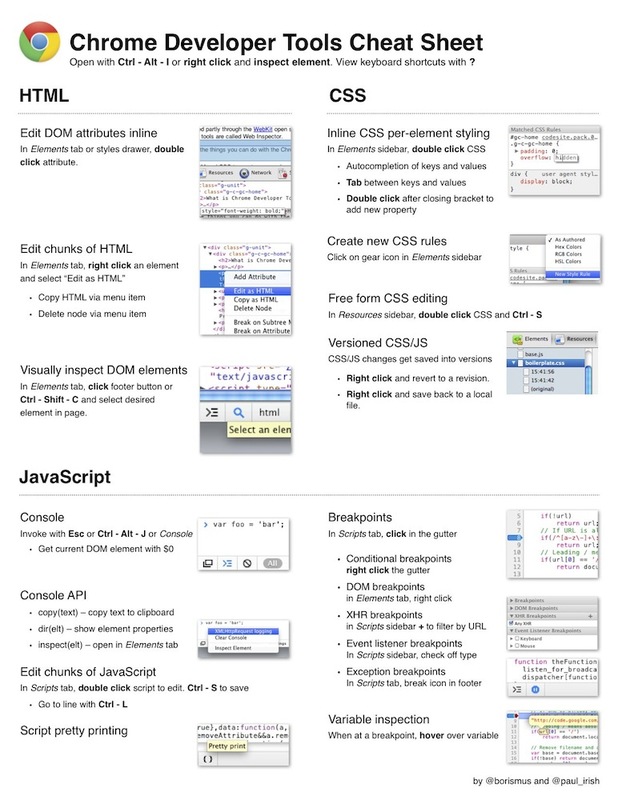 Live edit DOM elemens - Attributes, text, HTML. Lets you inspect resources that are loaded in the inspected page. 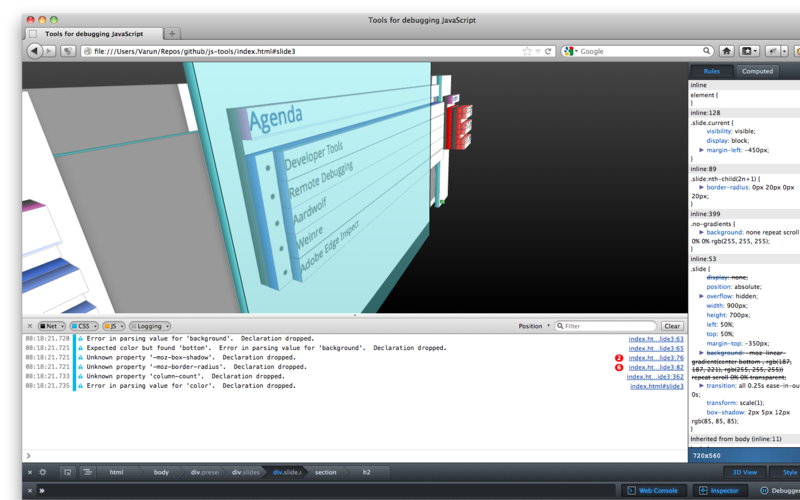 It lets you interact with HTML 5 Database, Local Storage, Cookies, AppCache, etc. 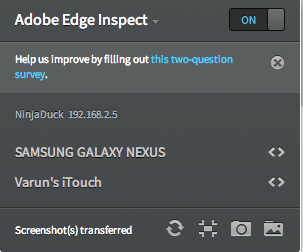 Lets you inspect resources that are downloaded over the network. DOMContent event, Load event - Do UI heavy tasks on DOMContent. 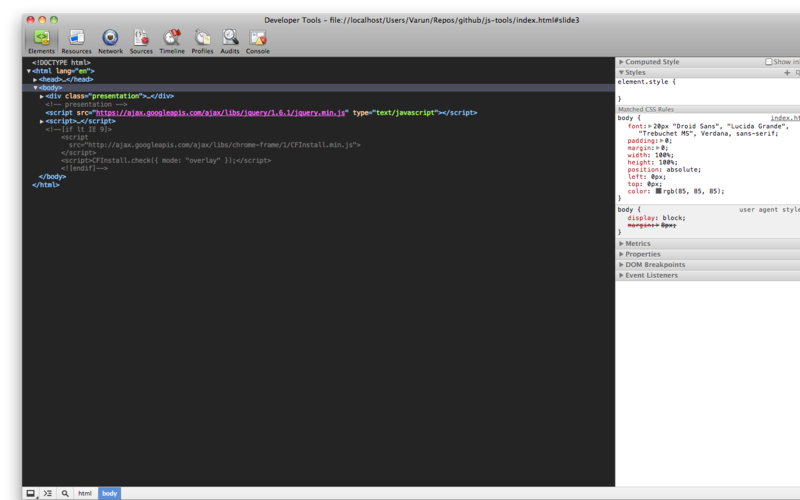 Export as HAR (HTTP Archive) - Awesomeness!! 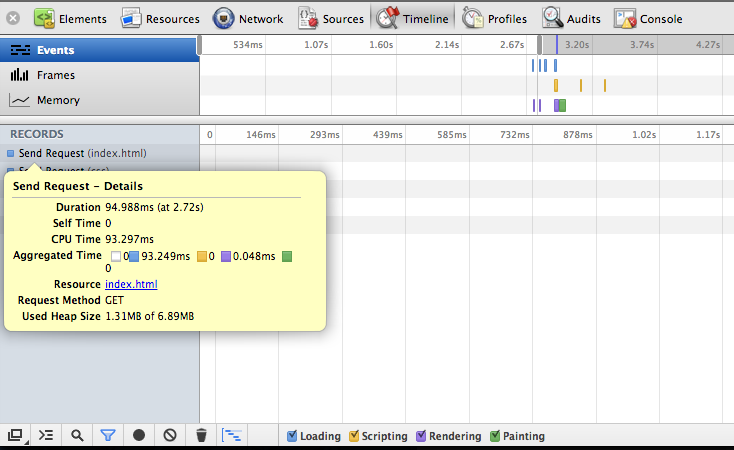 Lets you profile the execution time and memory usage of a web app or page. $(id) - Returns a single element with the given id. $$(selector) - Returns an array of elements that match the given CSS selector. Responsive Design, change user agent. Note the WS:// references in json output. 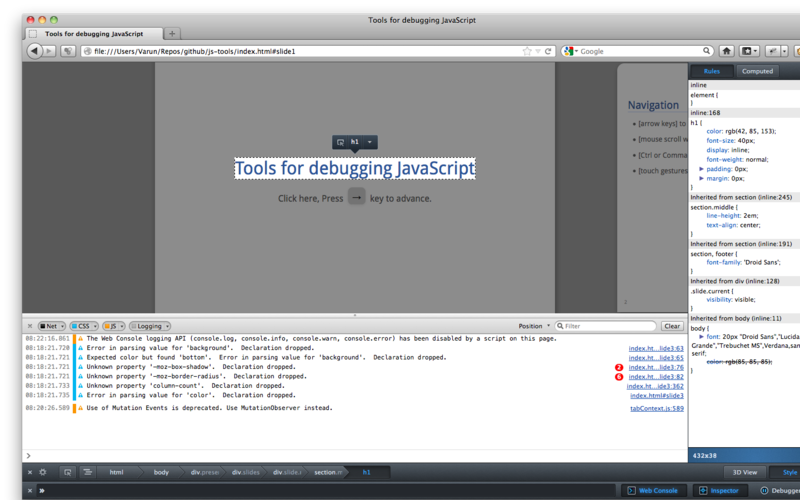 That is the communication channel between dev tools and the web page. 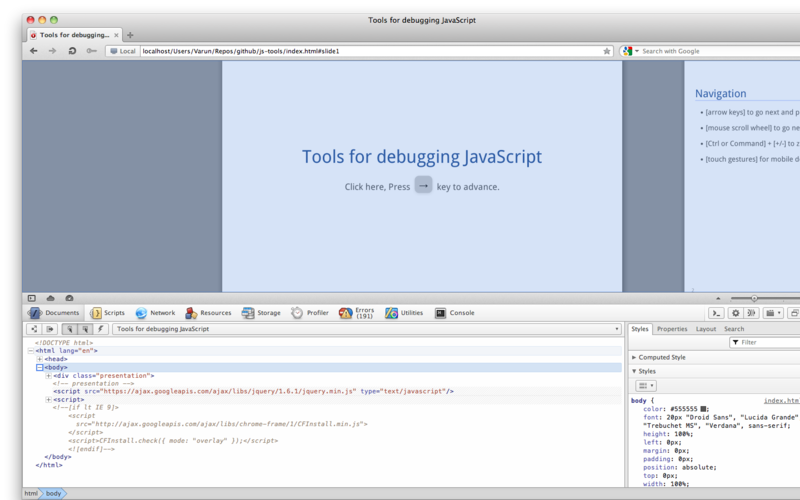 Debugger for web pages. Designed to work remotely. 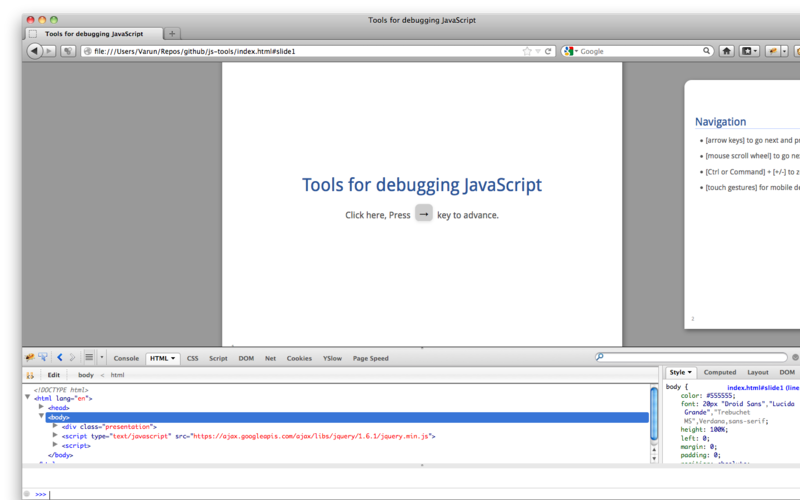 You can debug any target but the debug client must be run on webkit browsers only.